Holiday fun can come in many different types of packages, including virtual ones. 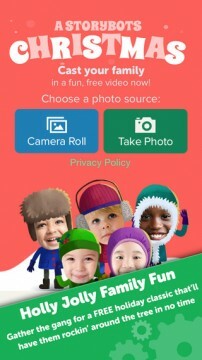 These five FREE Holiday Apps for kids offer new and interactive ways for kids to enjoy the season with everything from beautifully illustrated advent calendars, to customized tree trimming, caroling classics and even a chance to be Santa’s personal stylist. Great for keeping kids entertained if your Christmas plans include long car or plane trips or even if you need a distraction to keep little elves busy while you play Santa. However, don’t be surprised if you find yourself falling under their holiday magic. Nobody said kids should get to have all the fun at Christmas! Christmas: Starring You! by StoryBots– Using pictures from your camera roll or Facebook, Kids can become the stars of their very on holiday music video dancing and singing along with the adorable story boys. There are five different characters to cast and a selection of favorite holiday tunes to choose from. This app has been around for awhile, but it still cracks my kids up every time. 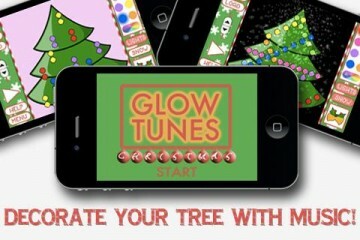 GlowTunes Christmas – Kids can decorate a virtual Christmas tree with all the trimmings while listening to festive holiday tunes and even some virtual snow! Lots of customizable choices from the types and colors of the ornaments to the lights and other effects. Binny’s Advent Calendar – Engaging illustrations combine with a little Old School charm to make this one of the highest rated Advent Apps out there. The updated 2014 version has not been released, but the year really doesn’t matter. 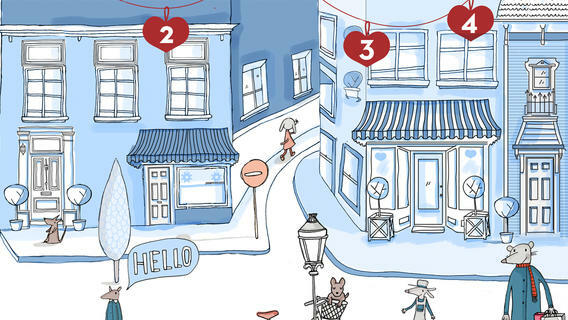 Kids tour the quaint city as they click on the numbers to count down to Christmas, unlocking a new interactive game each day. They’ll get to play records on an old phonograph (the nostalgic music is a hoot), conduct singing snowmen, play matching games and even reveal hidden pictures. I’m not sure who likes this app more, me or my kids! 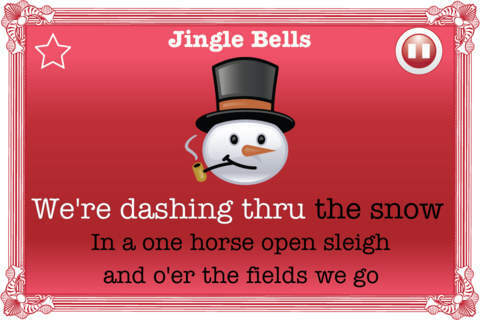 Sing Along Christmas Carols – Kids will have a blast singing along with all the seasonal favorites. Don’t be scrooge, you can join in too as the lyrics are provided Karaoke style, just in case you forgot a few over the years. 🙂 I particularly enjoy this one for long car rides during the holidays. 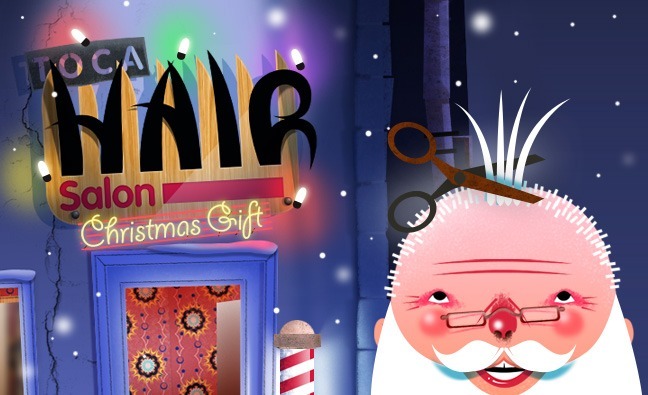 TocaBoca Christmas Hair Salon – If you aren’t familiar with Toca Boca’s wide selection of quirky and fun apps for kids, then this is a great place to start. Children can cut, color, style and accessorize Santa’s hair and beard or a silly Christmas tree. Guaranteed to produce plenty of holiday giggles as Santa changes from purple hair to green and a buzz cut to a mohawk. You’ve never seen Santa quite like this before! 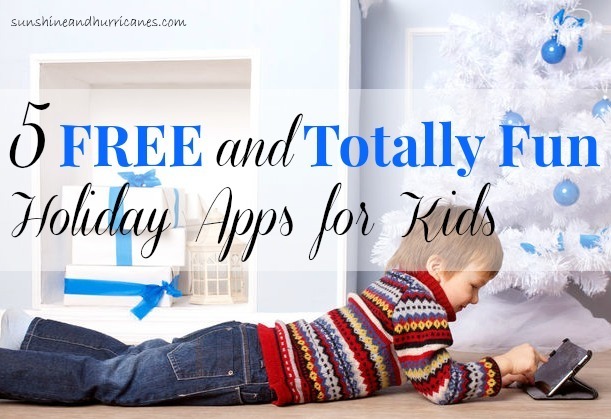 I felt like if I was going to make a list of holiday apps for kids, it really wouldn’t be complete without this true holiday classic , but it isn’t a free one so I’m adding it as a bonus sixth App. 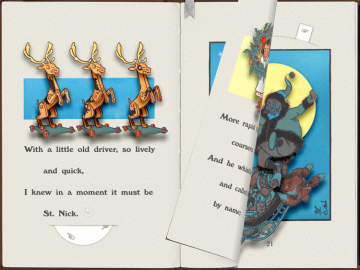 PopOut’s The Night Before Chrsitmas is truly reading brought to life as the beautiful illustrations of William Denslow are transformed into an interactive holiday wonderland for children to explore. Different elements of the story will spin, bounce and pop-out with a single touch enchanting readers with each new discovery. The App is $3.99 and is available for both iPhone and Android. Any fun ones for android? Hey Britt – Yes, I’m sorry about that, but I’m working on an update and I’ll find some good ones that are FREE on Android too. In process, hang tight. Thanks! My youngest (age 2) LOVES that hair cutting app! 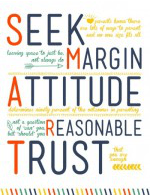 Thank you for this list! I can’t wait to check them out with my kids! The caroling app was exactly what I was looking for! Merry Christmas! It is definitely a fun app!!! !